Is Poise going to matter after the release of this Dark Souls 3 patch? From Software has announced that after a bit of a hiatus, Dark Souls 3 patches will resume. There’s a big one in the works, due for release this Friday, October 21. The update will bring the game to version 1.08, and it’s full of bug fixes and gameplay changes. The key change here is that Poise values have been adjusted “across the board.” The elusive stat will now be more effective for heavy weapons and amour. 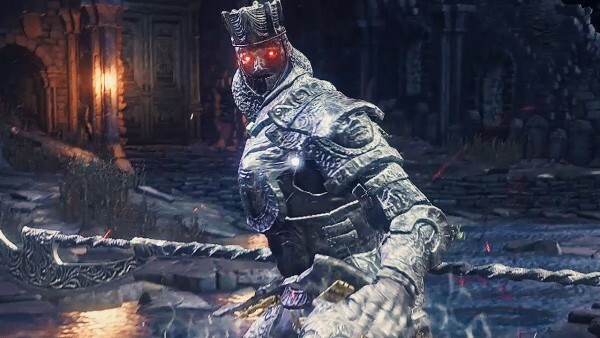 Poise has been a topic of discussion among the game’s community since its release, with many concluding that the stat may not actually affect anything. Hopefully this patch will bring a meaningful change to Poise. You can see the rest of the patch notes below. Adjusted the hitbox timings of the claw category weapon skill “Leaping Slash”. Improved the “Wrath of the Gods” weapon skill animation for Wornir’s Holy Sword. Improved the “Blind Spot” weapon skill animation for Corvian Greatknife and Handmaiden’s Dagger. Increased effectiveness of the sorcery “Pestilent Mercury”. Improved the cast animation of miracle “Lifehunt Scythe”. Increased poison and toxic buildup of the pyromancies “Poison Mist” and “Toxis Mist”, respectively. Increased durability damage buildup of the pyromancy “Acid Surge”. Dark Souls 3’s first DLC, Ashes of Ariandel, releases four days later on October 25.